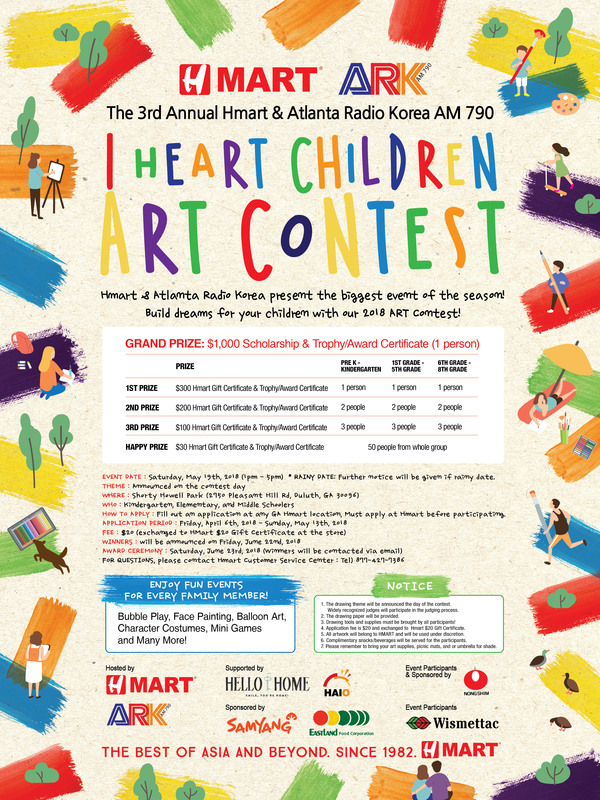 HMART & Atlanta Radio Korea present the biggest event of the season! Build dreams for your children with our 2018 Hmart Arts Contest! 안녕하세요. 혼선을 드려 죄송합니다. 그림대회 수상자명단은 지역별로 곧 공지될 예정이니 조금만 기다려주세요! 감사합니다.